Why did you decide to start Clever Girl Finance? Have you always been financially smart and wanted to share your advice? I started Clever Girl Finance because I want to help women take charge of their financial situations and equip them with the tools and resources needed to help them achieve financial success. 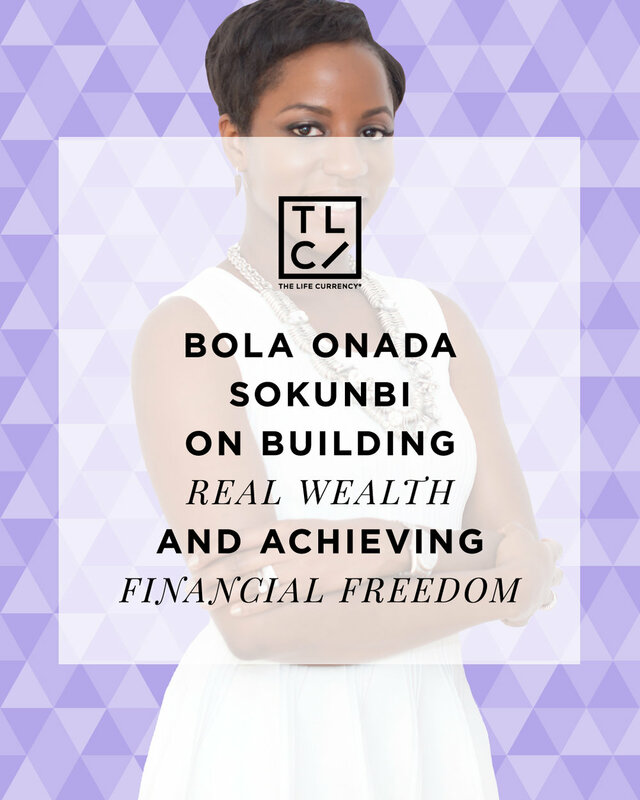 One of the most recurring themes I see with women is that we sometimes shy away from the whole money conversation about building wealth, or we don't involve ourselves as much as we should when it comes to our finances. Helping women become financially empowered is the mission behind Clever Girl Finance. When it comes to being financially smart, my parents were very particular about teaching me financial responsibility but I didn't always listen! Despite the great money lessons I got from my them, I still managed to make a few of my own money mistakes, like applying for my first credit card in college without having a real job to pay it back and without understanding my crazy interest rate of 24.99% and acquiring a ridiculously large designer handbag collection that I never used. I did however get it together eventually and after making a few big financial accomplishments, for example, savings $100,000 in 3.5 years, I fell in love with all things personal finance. What's your definition of real wealth? And how can female millennials build it? To me, real wealth is getting to a point where you have peace of mind about your finances. It’s about having plans in place for your future self, having the opportunity to pursue your dreams, live life on your own terms and becoming financially free (based on whatever you deem financial freedom as). For female millennials, building real wealth is very possible especially if you have a source of income through your career or through business keeping in mind that you don’t have to be rich or be earning six figures to build wealth. However, building wealth does require that you become a good steward of your finances and it also means that you must be willing to make a commitment to delay gratification, develop discipline, build consistency, educate yourself about money and stay the course long-term. Despite what many may think, building wealth takes time and is a long-term process but if you stick to it, the rewards will be tremendous. You saved over $100,000 in less than three and a half years. Can you please share how you saved that much in a short amount of time, and how someone else can do it too? For anyone looking to ramp up on savings, I would say a combination of doing the above plus becoming accountable (finding a like-minded and motivated person with a similar goal) is a great way to work towards your goal of saving money and actually accomplishing it. If a young woman wants to invest in stocks and/or bonds but doesn't have a lot of money to invest, how does she get started? When it comes to investing, it’s important to do your research on the different investment options (e.g. mutual funds, index funds, ETF individual stocks, etc.) and avenues (e.g. what brokerage firm to use) that exist and also to set clear objectives as to what you are trying to accomplish by investing. Are you investing for retirement, for your children or something else? It’s also important to understand that investing is a long-term endeavor and it’s a bad idea to try to time the market. You should also not be investing any money that you will need in the short term such as five years or less. Before starting out, it’s a good idea to take a closer look at your overall financial picture. If you have high interest debt, it makes more sense to pay it off before you start investing. For instance, if you have a credit card with an interest rate of 15% compared to the historical stock market performance over the long term of ~8% (taking market spikes and dips into consideration) then it’s better to pay off the high interest debt because you’ll be spending more money on interest payments (15%) than you’ll be getting back in average returns over the long term (~8%). Next, educate yourself about investing terms and concepts and learn how the stock market works. If it seems overly confusing or if you have specific questions, schedule some time to sit with a reputable financial advisor to go over things with you. Once you’ve figured out how and where you want to invest, build it into your budget and make investing a consistent part of how you allocate your money each month. What's most important to pay and why— college debt, credit cards or emergency savings fund? What’s most important to pay off really depends. To determine this, you should prioritize your debt by organizing your debt by interest rate from highest to lowest. Your debt with the highest interest rate is your most expensive debt (i.e. the debt that will cost you the most amount of money over time) and should ideally be the debt that you focus on paying off first. Typically credit cards have higher interest rates than student loans and mortgages so that should be the first debt that you pay off, then your student loans second and then your mortgage third, for example. It’s also important that you put an emergency fund in place of at least $1000 before you start aggressively attacking your debt. $1000 is a good amount to cover a basic emergency, for instance if your car breaks down. It helps you have a buffer to fall back on so you don’t have to leverage debt to deal with whatever might come up. Avoid debt especially credit card debt like the plague and create a solid plan to pay off any debt you might currently have. Focus on creating and living off a budget every month that will ensure you are spending less than you earn. Establish an emergency fund. If you don’t have one, set a goal to get to $1000 and then plan to grow it to three to six months of your basic living expenses over time. Learn about investing. This is a key avenue to building real wealth. Determine what you really want to accomplish with your finances long-term and create a plan that you break down into measurable chunks to help you get there. Can you share more details about the Clever Girl Finance Tribe and the financial planners? And why our readers would want to get involved? I created the Clever Girl Finance Life and Business Planners to be incorporated into everyday life by allowing individuals to break down their long-term life, business and financial goals easily so they can track them on a monthly, weekly and daily basis. The planners in a sense act like an accountability partner and if used as intended, can help folks stay on top of and accomplish the financial goals they have set. When it comes to achieving financial success and building wealth, it’s all about creating a solid plan and then taking the necessary actions to ensure you get there. The Clever Girl Finance Planners are a great resource and help to do just that.